An International Poker Network (IPN) player may have been surprised and disappointed when he lost a hand despite having Quad Jacks, however that disappointment soon turned to triumph when he realized he had hit the network’s massive €412,781 ($590,000) Bad Beat Jackpot. AlkaliEars received €144,473 of the €412,781 jackpot. The winner of the hand got €72,236 and the other players at the table each got €24,078. The new jackpot is already over €90,000. 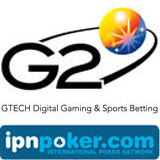 The IPN is Europe’s largest independent Poker Network. It recently celebrated its 3,000,000th player and dealt its billionth hand last year. The IPN, which includes such popular poker sites as VirginPoker.com, PokerHeaven.com and the Casino-Club.com poker room, regularly hosts Guaranteed €1,000,000 tournaments. Details of the IPN Bad Beat Jackpot are available at participating online poker rooms. Click here for a list of International Poker Network poker sites.